In a world obsessed with DIY projects, some projects require experts that are trained in certain things. A garage installation seems like a simple enough task to do yourself, but a few things along the way can be potentially dangerous to an overly ambitious homeowner. This guide is not comprehensive on garage installation, but will point out a few steps that are potentially dangerous. 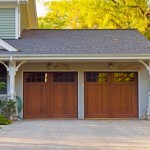 A garage door features torsion springs that provide the elasticity for a garage door to open, but also contain a lot of potential energy within them. To remove an old door would require releasing the tension on these springs, which is an incredibly dangerous task that should be done with special tools and not pliers and zip ties like some may suggest. A giant tightened spring can cause major damage to anyone who may slip and lose control of the tension within the spring, so this job should be left to a professional. If dealing with an automatic garage door opener or installing a new one, then an understanding of electric engineering may be necessary. Any time a homeowner deals with anything electrical within a home, danger is usually right around the corner. Anytime you are dealing with electricity during a garage installation, make sure to consult a professional before disconnecting any wires. This step is the safest at first with installing rails, tracks, and pulleys, but can be just as dangerous due to needing to do the first two steps in reverse. Part of the actual installation includes installing torsion rods and a spring assembly, which is dangerous all over again. As mentioned before, you should meet with a professional who is able to safely install large springs without hurting anyone. Another part of this step means attacking the new/first automatic door opener, which is just as dangerous, if not more so than disconnecting one. While installing a garage door yourself can be a great do-it-yourself project, some projects are much too dangerous for the average person to tackle. 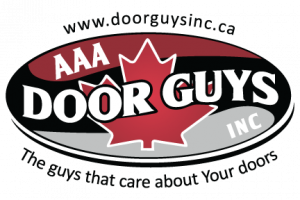 If you are considering installing or reinstalling a garage door, make sure to get it done by a professional company.